YOURSAY | The gov’t should claw back every sen of corrupt money, not ask citizens to tighten their belts. 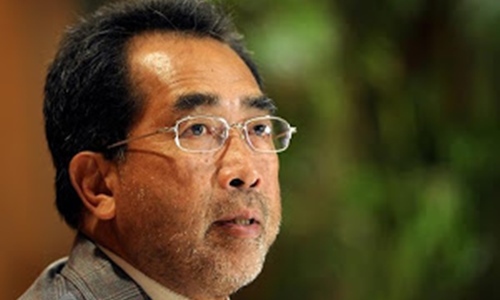 Jasmine: Jamaluddin Jarjis (JJ) was another one of those politicians with a meteoric rise during the 22 years of Dr Mahathir Mohamad’s first tenure as PM. Mahathir took out an honourable man, Ani Arope, as Tenaga Nasional Bhd (TNB) chief and put JJ there to enable the controversial independent power producer (IPP) deals to go through. Then, JJ was the second finance minister under Mahathir until Abdullah Ahmad Badawi brought in Nor Mohamed Yakcop. JJ was the ambassador to the United States under Najib Razak, until his tragic death in a questionable helicopter crash. The big question is, could these various positions explain the accumulation of such a big amount of assets? Pakcik Am: Was all this money earned by (his father) the police chief or by the former minister? A minister's salary is less than RM20,000 per month. How did Jamaluddin acquire so much wealth? What do the five retiree councillors in MACC have to say about all this? Are they waiting for someone to lodge a formal report? AdiChan: How our past ministers accumulated so much wealth on a relatively modest ministerial pay is anybody's guess. Hopefully, the present government will investigate the multi-millionaire/billionaire ex-ministers. The government cannot promote a clean and honest administration without righting the many wrongs committed by wage-earners in their public positions. Sunshine: There are strong suspicions that much of the wealth amassed over the last two to three decades, especially by some Umno politicians/ministers and some business people associated with politicians, are potentially ill-gotten. The late JJ, and many of his contemporaries from Umno, are by no means endowed by such massive ancestral wealth, going by their modest material beginnings. Together with him, there are many others including heads/chief executive officers of government-linked companies (GLCs) and heads of government agencies, like the recently retired inspector-general of police (IGP), who should be investigated for possession of disproportionate assets. There is little doubt in the minds of some Malaysians that this nation has, in recent decades, suffered serious plunder in the hands of some abusive political and business leaders from among the dominant community. The 1MDB scandal is a case in point, which is still unravelling. Headhunter: It is quite incomprehensible and boggles the mind just how much BN, and especially Umno, have allegedly stolen from the rakyat - an otherwise rich nation impoverished by a handful of people. Essentially, it's the rich and well-connected stealing from the poor. The Americans got it right when they described the former Najib regime as a kleptocratic government. The MACC is a total failure. If not for the change of government, they would still be acting blind and deaf now. I hope the attorney-general (AG) will initiate an investigation into this and other similar cases. In the meantime, the Inland Revenue Board (IRB) should also be looking into how much tax was paid by Jamaluddin in the past 10 years or so. As I said before, 1MDB is only the tip of the iceberg. Anonymous 770241447347646: How much more are the other ministers and deputy ministers worth? If a real survey of all their assets and monies are taken into consideration, many could be listed among the top 20 to 50 richest Malaysians. How did he (JJ) manage to accumulate such an enormous amount? Even if he did not spend a single sen of his salary, this figure is impossible to reach. Seriously, the new Pakatan Harapan government should investigate the wealth of each of the former ministers. If any of them cannot come up with valid reasons for their wealth, they should be investigated. And not only their local assets but also their foreign assets listed under the names of all their family members. AstonMartin: It has been very clear that Umno leaders are extremely shrewd in business, thus the ability to amass great wealth in a much shorter time compared to others. They must then transfer their knowledge to other bumiputeras. No government affirmative action would be as good as theirs. Ferdtan: If the Anti-Money Laundering, Anti-Terrorism Financing and Proceeds of Unlawful Activities Act 2001 (Amla) were to be applied on all BN ministers and leaders, the total amount of money collected will be enough to pay back the country's debt and liabilities of RM1 trillion, or at least more than half of it. Besides Najib and the two big guns of Sabah and Sarawak, many billions would surely be recovered. Anonymous 2327531438397239: Yes, all the fat cats in Umno have only one agenda: unlimited self-enrichment. If one is reportedly worth a staggering RM2.1 billion, can you imagine just how many more are in the same category? When you compare their individual wealth to their income or salaries, those figures just don’t match. Now is the right moment in our country’s history to do the right thing. The authorities should investigate all these fat cats and make an inventory of all their assets, cash, shares, vehicles, properties, houses, condos, etc, and act to recover all their allegedly ill-gotten gains. FairMind: Malays, please now wake up and realise who is actually stealing your money and where your so-called entitlement ends up. JJ was just a small Umno leader and he amassed RM2.1 billion. Just imagine the billions that the thousands of higher-up Umno leaders and lower Umno division heads have amassed during their 60-year rule. It is time for the MACC and the IRB to step in to investigate how he could have amassed such huge amount of money and whether taxes had been paid before his assets are distributed to his estate. The present government should claw back every sen of corrupt money instead of asking its citizens to tighten their belts. We should appoint someone to review and pay close attention to the Administration of Estate Department on the value of estates (especially those over RM100 million) before allowing them to be distributed. This department would be the best avenue to know the true worth of a deceased's estate because the family will surely want to account for every single sen and piece of property, whether overseas or under nominees. Anonymos: This is Umno's version of helping the Malays – Umno politicians mostly help themselves to the people's money.